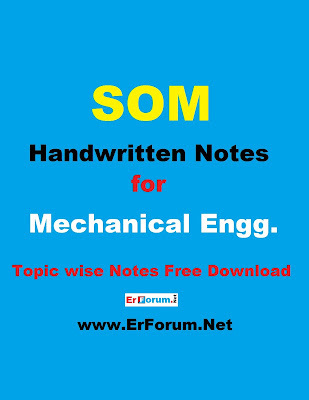 Today we [Engineers Forum] are sharing Complete SOM notes for Free. Download it and give a boost to your preparation. If you like this initiative by us, Please Like and Comment below then we will share another paper also. These notes are of ClassRoom Course provided by one of the best institutes for GATE, ESE, and PSUs. These all notes are without any blue background & print-friendly PDF version. *Please do comment If you want any other Subject Notes also.